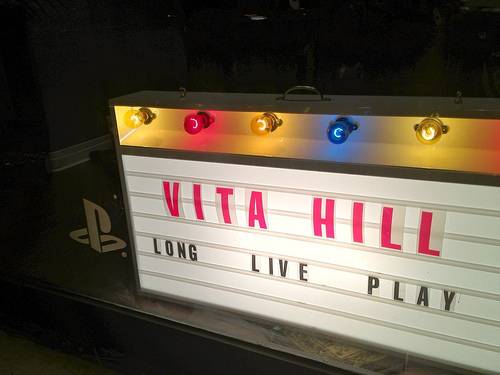 In celebration of the Vita coming to America, there’s going to be a launch party in San Francisco! Of course, this launch party isn’t going to be your run-of-the-mill launch party where a bunch of nerds crowd around one Playstation Vita; there’s going to be 32! A tournament will take up the majority of the launch party with a raffle at the end. hello!,I love your writing so much! proportion we communicate more approximately your article on AOL? I need a specialist in this area to unravel my problem. Maybe that is you! Having a look forward to see you. Wonderful post, very informative. I wonder why the opposite experts of this sector do not understand this. You must proceed your writing. I’m sure, you have a great readers’ base already!|What’s Taking place i am new to this, I stumbled upon this I have found It absolutely helpful and it has helped me out loads. I’m hoping to give a contribution and aid different customers like its aided me. Great job. Somebody essentially assist to make severely posts I would state. That is the very first time I frequented your web page and thus far? I amazed with the analysis you made to make this particular publish incredible. Wonderful job! It have all important news so when i read this site that I have been very useful and I think it very necessary all people. Hmm it seems like your blog ate my first comment (it was extremely long) so I guess I’ll just sum it up what I wrote and say, I’m thoroughly enjoying your blog. I as well am an aspiring blog writer but I’m still new to everything. Do you have any helpful hints for rookie blog writers? I’d genuinely appreciate it.